The holiday season is winding down, and I hope all of your wishes came true. Denis had a touch of food poisoning just before Christmas, but he's back to being his chipper self-- and his passengers at the airport loved the string of blinking Christmas lights he'd put on his red cowboy Santa hat. Here is a very short video of a covey of one of my favorite birds, Gambel's quail, feeding at the Patio Café at the Desert Botanical Garden. I hope the video cooperates because there's sound so you can hear them, too, if you are so inclined. But to get back on track... how did the phrase "eat like a bird" ever come to mean eating sparingly? Anyone who's watched birds for any length of time knows that they almost always have their beaks in the trough. You may not get much in one peck, but many pecks all day long equal a lot of food. Thankfully our feathered friends all have the metabolism to cope with their constant feeding. 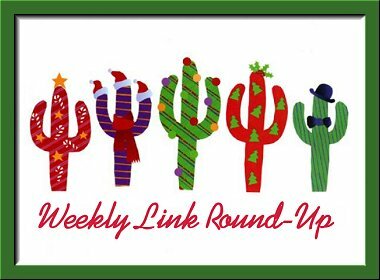 Since I'm trying not to remember there's a leftover slice of pumpkin pie in the kitchen, I think I'll head on out to the corral to get all these links lined up for you. Head 'em up! Mooooove 'em out! And a Happy New Year to you all! Midnight in the Garden of Good and Evil was way ahead of its time. When The Graduate opened fifty years ago, it changed Hollywood (and America) forever. The importance of graduating in the Navajo Way. Ian Rankin on the novel that inspired Rebus, the importance of Miss Jean Brodie, and the book that made him laugh and cry. Why prehistoric women had super-strong bones. An ancient temple built by the descendant of a vast biblical kingdom has been discovered by Israeli military drones. Ancient Egyptian statues of the lion goddess Sekhmet have been discovered in the 3,500-year-old burial temple of Pharaoh Amenhotep III. The Bronze Age elite forged all their best weapons and jewelry from meteorites. A colossal waterway system built by the 5,000-year-old Liangzhu civilization has been discovered by scientists in China. George Washington's jewel-encrusted Revolutionary War medal has gone on display. A cache of 120-million-year-old fossilized pterosaur eggs has been found in China. 3-D printing has braced up a sea turtle with a gap in its shell. Oran the terrier is dashing up the Munros for charity cash. Millions of migrating red crabs are coming to Google Street View. National Geographic's Nature Photographer of the Year contest 2017. Here are some gorgeous snow photos taken around the world. Welcome to the world's oldest surviving doll hospital. This is the least visited country in Europe. National Geographic's best travel photos of 2017. Twelve tips from a rare books expert to keep your books looking great. Eight books that move disability from the margins to the center. Four things every thriller writer can learn from Charlotte's Web. The oldest treasures from twelve great libraries. The Texas prison system bans 10,000 books. What's allowed and not allowed doesn't always make sense. The top ten books about growing old. I'm not the only one who channels Indiana Jones! If you're back to blogging, then it's a very Happy New Year indeed!